Good health is more than just going to the doctor for a wellness check or getting a prescription when you’re sick. It’s about access to care and access to parks, clean air, good schools, decent grocery stores, quality jobs and stable housing. The Georgia Healthy Cities project is working to learn more about your neighborhoods so we can build a Health and Wellness Toolkit for your city. Click on the arrow to get started! At the end of the survey, please add your name and email address if you would like to participate in our monthly gift certificate drawing and/or like to join us at a workshop where we will discuss our work. Answers are confidential and we won’t publish or share any personal data. Our goal is to learn the experience of people in your community, and any published insights will be based on neighborhoods — this way, your personal responses will stay confidential. Georgia Healthy Cities is a project funded by the Robert Wood Johnson foundation under their 500 Cities Data Challenge grant. This research is based upon work supported by the Urban Institute through funds provided by the Robert Wood Johnson Foundation. We thank them for their support but acknowledge that the findings and conclusions presented in this report are those of the author(s) alone, and do not necessarily reflect the opinions of the Urban Institute or the Robert Wood Johnson Foundation. Neighborhood Nexus, a collaboration of the Atlanta Regional Commission and the Community Foundation for Greater Atlanta, is the lead project coordinator. Partners include Atlanta Regional Collaborative for Health Improvement (ARCHI), Atlanta Regional Commission, Chatham County Dept. of Public Health, Clinical Research Pathways, Coastal Georgia Indicators Coalition, Federal Reserve Bank of Atlanta, Georgia Family Connection Partnership, Georgia Global Health Alliance, Georgia Health Policy Center, Global Health Action, Mercy Medical, United Way of Columbus, United Way of Greater Atlanta, Urban Health Initiative and the West District of the Georgia Department of Public Health . 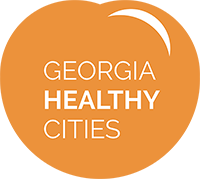 To learn more about the Georgia Healthy Cities project, visit http://georgiahealthycities.org. To learn more about Neighborhood Nexus, visit www.neighborhoodnexus.org.